Disney's iconic princesses serve as the inspiration for Ever After's exclusive collection of fairy tale nail polishes. Each of them aim to capture the essence of each Disney Princess: her grace, her sparkle and her legendary beauty. Begin your once upon a time adventure with the first three polishes of the series. A Kiss Would Be Nice, Yes? 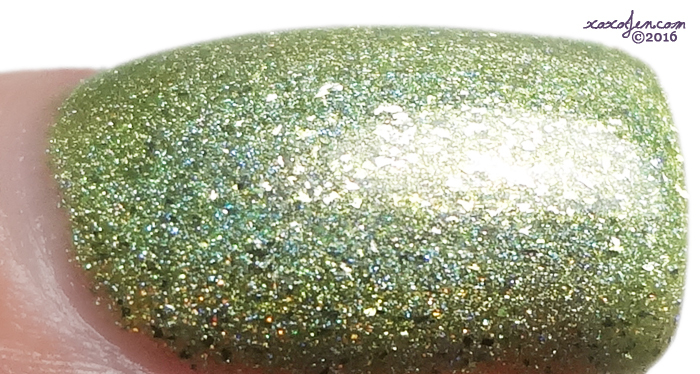 - Zesty lime green filled with silver sparkle micro flakes and holographic rainbows. Inspired by Princess Tiana from the Princess and the Frog. A Whole New World With You - Princess Jasmine sports the hottest look in Agrabah, and you can too! 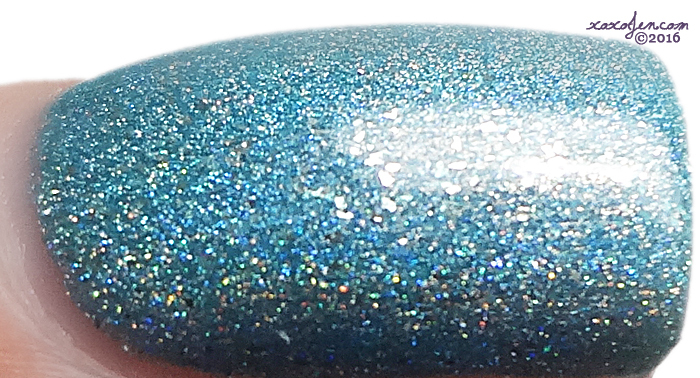 This perfectly matched sea foamy blue polish is filled with sparkles and rainbows. Shining, shimmering, splendid! Are you ready for your magic carpet ride? Once Upon A Dream - A flirty rose shade, packed with silver shimmery flakes and holo rainbows. Inspired by the romantic love song Princess Aurora sang in Sleeping Beauty. I wore two coats of each polish, formula was smooth and easy to apply as I've come to expect with Ever After brand polishes. These were all quite dazzling with mirror-like shine and sparkle, just as a Princess should be! Ever After is launching these in limited quantities along with several other new polishes on Friday March 4th at 5pm Central time. Come back and visit me to see what else is launching Friday at Ever After! Those three colors are so nice. Love these! Perfect for spring as well! These are perfect. Ever After never disappoints. These are so pretty. I hope she plans on doing more princess polishes. Once Upon A Dream is the perfect pink for Aurora. I love how these have the shine and sparkle of glitter without the removal headache! Your swatches are so gorgeous, I love how spring appropriate these are! Disney! I love A Kiss Would Be Nice! These are beautiful shades. Your swatches are great! I already know that I'm going to want each polish that come out for this theme! Lovely swatches! Wow, that green!! I love it!! !